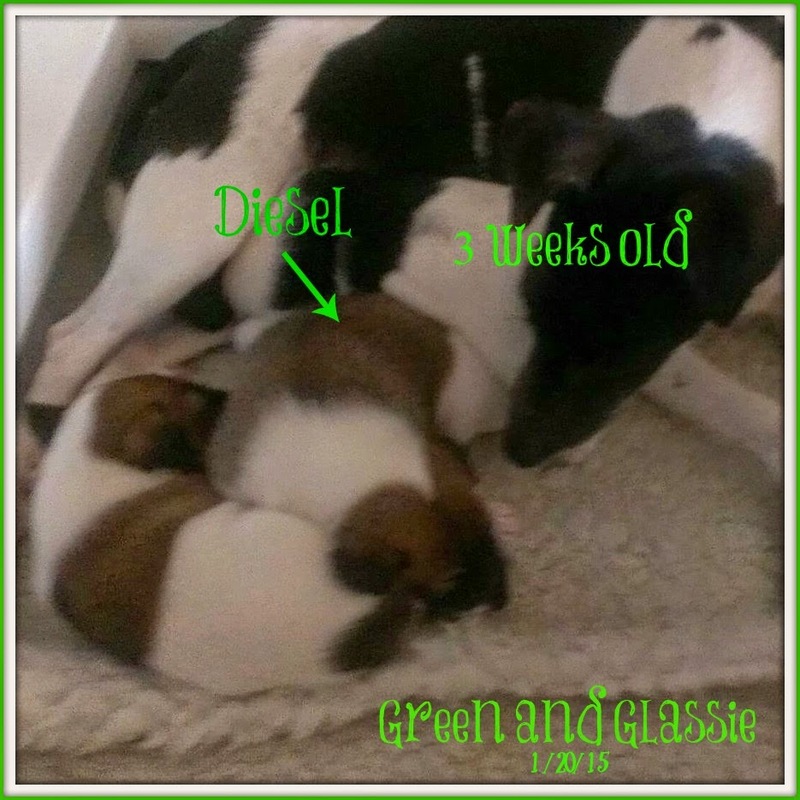 Green and Glassie: Barking Wednesday ~ What age should a puppy leave the litter? Barking Wednesday ~ What age should a puppy leave the litter? This Barking Wednesday I wanted to post about ~ What is the right age for a puppy to leave the litter? 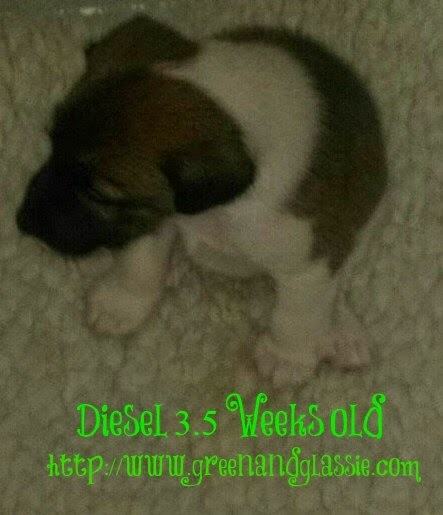 Diesel will be able to come live with us when he is 10 weeks old. I did a lot of checking and asking questions as to what is the perfect time for a puppy to leave the litter. As for a certain time -there is none. Leaving the litter depends on the breed of the dog, size of the litter, size of the puppies and the number of puppies in the litter. The Kennel Club does not state the ideal age - because there isn't one. Many articles state how time with the mom and siblings is so important. How the last few weeks of being with the litter can develop positive social skills. It also allows the puppy time to be independent and a self thinker. Since we have purchased Diesel from a quality breeder of Smooth Fox Terriers - I definitely trust her judgement in when it is best for Diesel to move out on his own. I personality have never had a dog that had puppies. I know very little about raising newborn puppies. I have gotten all of my dogs at 6 to 8 weeks except for Bo he was the oldest - he was 12 weeks. All I know is that 10 weeks is feeling like a really long time!! We are so excited for Diesel to come home! I want to hug him so much! 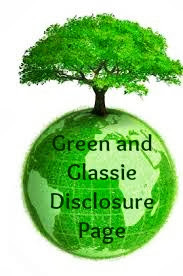 I also wanted to share with everyone a great way to find quality items at great prices. 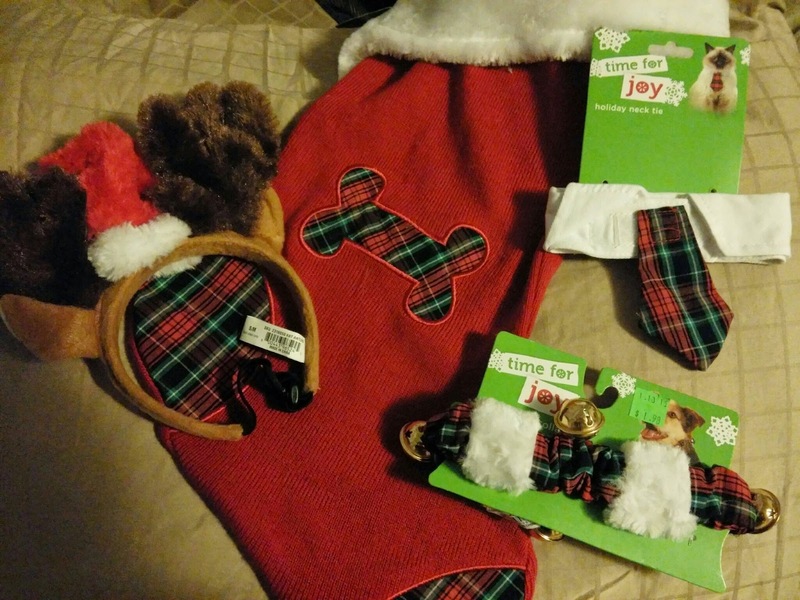 I like to stop weekly at Petco and check out the clearance section. 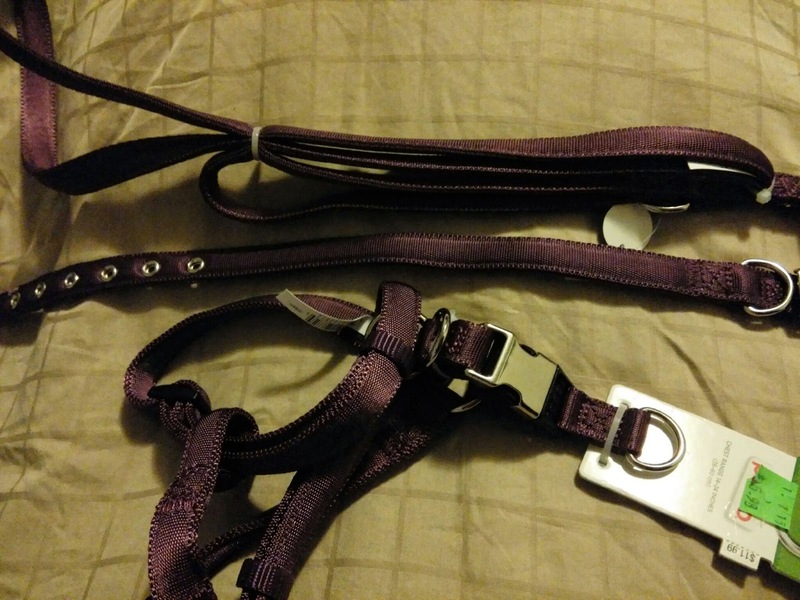 This was a good week for sales....I found a harness, collar, and leash in a Deep Plum color all 75% off and also a few items for next Christmas at 90% off! Diesel will be stylin! 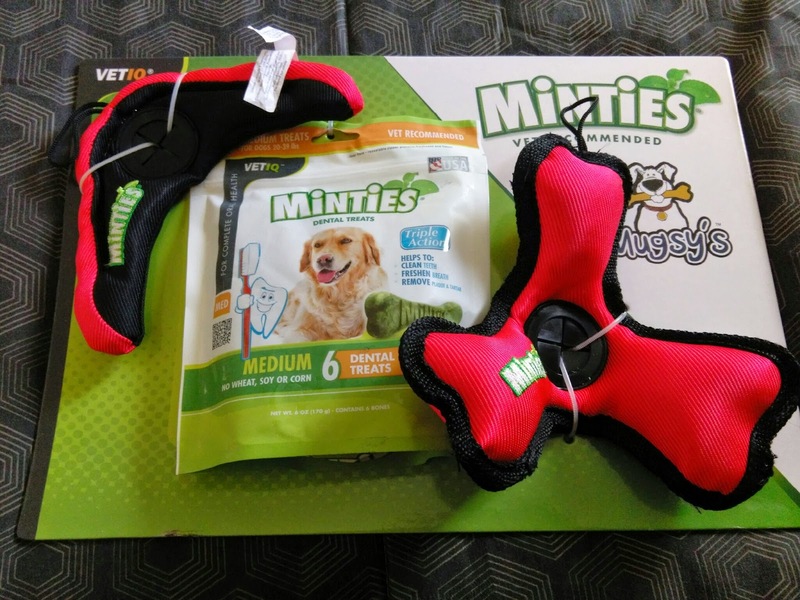 Plus, while at Sam's I picked up this fun throw toy and teeth treats for only $4.86 - great deal! It is amazing what deals you can find if you shop around. All of these items for less than $20! If you are a dog owner ~ What age was your dog when he came to live with you? We got our puppy when he was about 12 weeks old. We saw an ad in the paper and it really just worked out that way. I have never bought a puppy BUT we were given a puppy that was disposed of in a garbage can outside of a body shop. She is a terrier mix so little she could hardly walk, we were her surrogate because she was without a mommy. This is such important information for people to know. Taking the puppy to early can cause so many problems! Thanks for sharing this post. I am not a dog person, so I have no idea when a puppy should leave the litter. thank you for your information. Our breeder let us take our Chloe at 8 weeks. She only cried one night, we were lucky. I know you are excited to get that puppy home. I think it was about 8 weeks. I'd have to check though. I'm looking forward to you bringing home your puppy too! It's important for them to be ready to leave their mom, though. What sweet little puppies. I think our puppy left her mom around 8 weeks. We are cat owners but son is begging for a dog . Good to know! I've never owned a puppy but when my babe is old enough to help take care of one, maybe I'll consider getting one. I would be so excited for that puppy to arrive too! I've never gone through the puppy breeding process so I had no idea! My son has been bugging us to get a dog, so this is good to know. We ott our dog when she was about 12 weeks old. I am amazed now at how long ago that was. I adopted my dog at 8 weeks I think. He is turning six and I Can't believe the time has flown so far! We get our dogs around 8 weeks. Of course they are usually dumped off by our house so I am guessing. Great info. I'm not a dog person, but puppies sure are appealing. Ha! We are not dog owners but we have a cat. She was just 2 months old when we got her. Yeah, I think 10 weeks is about right. It's always better safe than sorry, especially as you will most likely be with him for the rest of his life! Congratulations and hope you enjoy your journey with your new pup! I don't remember how old our dog was when we got him as a puppy. To me it seems that most of the time when people are selling them they are around 10 weeks old. No dogs here, but I find them awfully cute! My friend just got a golden doodle!